John Lapinski, Ph.D., is the Robert A. Fox Professor of Political Science, Faculty Director of the Robert A. Fox Leadership Program and the Director of the Penn Program on Opinion Research and Election Studies. He also serves as the Faculty Director for the Executive Masters of Public Administration program within the Fels Institute of Government and as the Director of the Elections Unit at NBC News. In his role for NBC News, Lapinski is responsible for projecting races for the network and produces election-related stories through exit polls for NBC News, MSNBC, CNBC, Telemundo, and all of NBC’s digital properties. 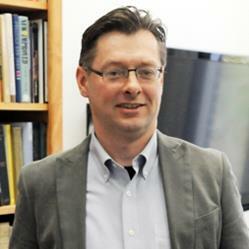 Dr. Lapinski earned his Ph.D. at Columbia University in 2000, and previously was an associate professor in the Department of Political Science at Yale University. He came to Penn in 2006. His primary area of research is concerned with understanding national elections as well as lawmaking in Congress through empirical analysis. He is the author of The Substance of Representation (Princeton University Press, 2013) and co-author (with David A. Bateman and Ira Katznelson) of Southern Nation (Princeton University Press, 2018).